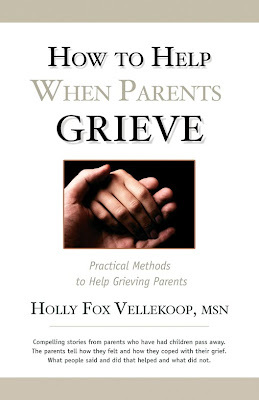 Life experiences often become a writer’s stories and that is true for the nonfiction book, How to Help WHEN PARENTS GRIEVE, by published author, Holly Fox Vellekoop. Her new book will be released January 15, 2010. The idea for this book came when Vellekoop's 39-year-old son, Brandon, passed away from cancer. The author found it unimaginable how she was going to face the rest of her days without ever seeing or hearing from him again. 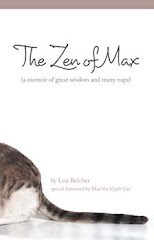 As a mother who knew others who had a child pass away and witnessed their struggle, the author wanted to hear from them to learn how they were able to endure. Discovering that no one truly knows how they will react until it happens to them, Vellekoop was prompted to conduct dozens of interviews with grieving parents. They shared, with honesty and love, their compelling stories. Twenty-seven of these stories are told within the pages of the book in the parents’ own words. The stories are as varied as are the individuals themselves. Within the book are many comments and actions that were found to be helpful to the grieving parents that readers will find useful for approaching and responding to a grieving parent. The book is also an excellent resource of practical ways for the grieving to cope with the many trials and difficulties they face daily. Regardless of how the child passed away, grieving is grieving, and parents need assistance with it. Should you be one of the nearly one in five who have lost a child, it is hoped that you will find a measure of peace and hope from the stories. The book’s target audience is grieving parents, their relatives and friends, teachers, social workers, medical personnel, pastors and anyone interested in the grieving topic. The author will have copies of her book for sale for $14.95 plus tax, before and after the program and will personally autograph them. The book can be purchased at http://www.amazon.com/, http://www.bluenotebooks.com/ or from her website http://www.hollyfoxvellekoop.com/. She can be contacted at hollyfoxvellekoop@yahoo.com. About the author: Holly Fox Vellekoop worked for many years as a registered nurse at a state mental hospital. She retired as a clinical instructor in psychiatric and mental health nursing for Penn State University. Holly has a murder mystery, STONE HAVEN: Murder Along the River, published by Avalon Books of New York and has also had newspaper and magazine articles and poems published. She is a member of the Space Coast Writers Guild and the Cape Canaveral Branch of the American Pen Women. She is available to speak to the public on the topics of “Parental Grief,” “The Psychology of Murder,” “Writing,” “How to Interview Others for Your Writing,” and a variety of Christian topics. She currently lives in Florida. Holly, I so look forward to reading this meaningful book.